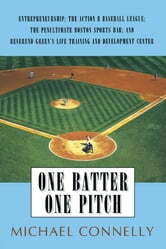 The novel One Batter, One Pitch is a sequel to An Informal Boston Education, which chronicled the chaotic, frenetic, and hilarious career, social, and romantic missteps of quirky, wisecracking, ballplaying, weightlifting, and beer-drinking young Boston CPA Rocky Collins; until, with the help of a good woman and promising new job, he finally gets his life under control. But now hes approaching middle age, frustrated with limiting age-related physical issues and feeling increasingly out of tune with the culture; and worst of all, the changing competitive landscape facing the company hes been successful with for twenty years has become an insurmountable problem. Hes working too hard and long with disappointing results, and worrying that, despite his rewarding family life and a solid circle of old friends, hes going to end up a failed, essentially numerical man. But his unrelenting drive and determination, intelligence and wit, along with the unwavering empathetic support of his equally hard-working wife, finally have him hooking up with a couple of charismatic, successful Boston venture capitalists, who not only appreciate his talent and work ethic, but also his imagination and combative Boston-Irish humor. 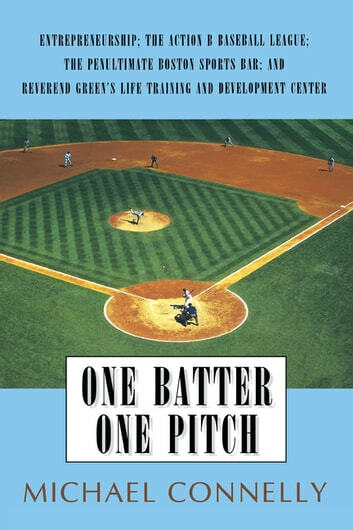 He gets his career back on track by helping them turn around a couple of mid-size manufacturing companies, while also helping found a new independent baseball league with some very unique rules, equipment, and playing fields; designing The Penultimate Boston Sports Bar; and helping a black Boston area youth minister build a Life Training and Development Center.